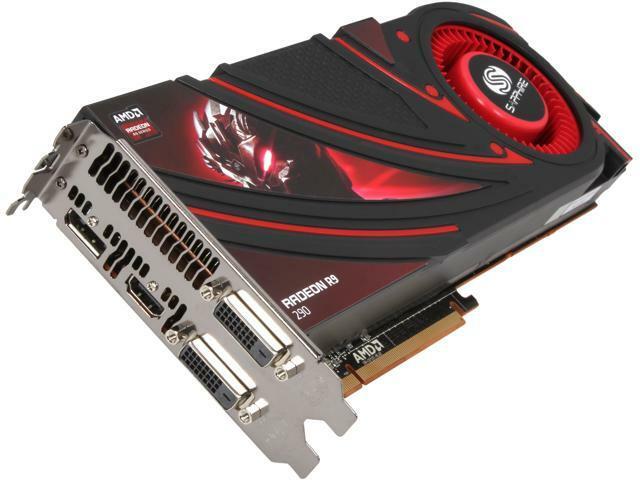 The new SAPPHIRE R9 290 features 2560 stream processing units and an engine clock of up to 947 Mhz. It is equipped with 4GB of the latest high performance GDDR5 memory on a 512-bit interface and clocked at 1250 MHz (5.0GHz effective) delivering high bandwidth capable of supporting smooth gaming even at UltraHD resolution. Other Thoughts: - I would highly recommend AGAINST this card and just go for something new. This thing runs so hot, that it cant even keep up with it's 960 competitor that it's supposed to. Avoid this card, especially considering it's age now. Other Thoughts: I would buy the tri-x version or an after market cooler if you are going to purchase one. Pros: It was cheap and reliable for games that don't need much to get decent performance. Cons: It crashes whenever you need it to run a game that might be tough to run. Ex: Battlefield 1 or Rust. Other Thoughts: Iv'e had crashes in ARK:Survival Evolved, Battlefield 1 and Rust. Other Thoughts: I don't hold this against AMD, but Sapphire truly made a horrible product. I wasn't sure if this was the issue, but I went online and other reviews indicated that there was in fact a bad batch of these cards. One day it just stopped working, no reason. I don't do anything that's considered overworking the GPU, and my house is always at a cool temperature, but somehow this thing still managed to overheat while sitting there and doing nothing. I'm currently waiting on my RMA from the manufacturer. Pros: This is a great video card if you're aiming for the AMD side of things. Solid on all fronts. it's June 2016 as of this writing, and I'm still running all games on the highest settings. Witcher 3, Dark Souls 3, Overwatch... it handles them all while keeping at 60FPS. I run at 2560x1080, and the card has no issues with games at this resolution via display port. Cons: It will get warm. It will get hot. AMD says this card can hit 95 degrees Celsius, and that's okay. I personally freak out when it hits 75, and adjusted my system accordingly***. Also, stock fan will sound like a turbine engine when it really amps up. If you go air cooling, make sure you have great flow. Other Thoughts: ***I ended up using an NZXT GPU bracket with the Corsair H55 water cooler for this GPU. Since then I have never seen it eclipse 65 Celsius while under heavy load. If you have the room in your case and budget, it's a worthy addition to an otherwise great card. Cons: Its crazy hot and loud. Do your research on the first gen/OEM heatsink 290's. Now that its warmer out, my small room gets HOT when gaming, this thing just DUMPS hot air out the back. The fan is annoyingly loud, but I knew that coming in, using OC'ing software to manually set my fan higher on idle, and have it max at 45% quickly to keep it cool (will hit 90c+ like that its job). Other Thoughts: Got this beast during early Black Friday '15 deals, absolute steal. Still worth after rebate price as of review date, since the R9 390 is still a bump up, and most don't need 8GB yet at this now mid level GPU. Just remember to allow for noise/heat. I have since purchased an aftermarket HSF system, but have not installed yet.